Several studies have shown that bursting neurons can encode information in the number of spikes per burst: As the stimulus varies, so does the length of individual bursts.Therepresented stimuli, however, vary substantially among different sensory modalities and different neurons.The goal of this paper is to determine which kind of stimulus features can be encoded in burst length, and how those features depend on the mathematical properties of the underlying dynamical system.We show that the initiation and termination of each burst is triggered by specific stimulus features whose temporal characteristsics are determined by the types of bifurcations that initiate and terminate firing in each burst. As only a few bifurcations are possible, only a restricted number of encoded features exists. Here we focus specifically on describing parabolic, square-wave and elliptic bursters. We find that parabolic bursters, whose firing is initiated and terminated by saddle-node bifurcations, behave as prototypical integrators: Firing is triggered by depolarizing stimuli, and lasts for as long as excitation is prolonged. Elliptic bursters, contrastingly, constitute prototypical resonators, since both the initiating and terminating bifurcations possess well-defined oscillation time scales. Firing is therefore triggered by stimulus stretches of matching frequency and terminated by a phase-inversion in the oscillation. The behavior of square-wave bursters is somewhat intermediate, since they are triggered by a fold bifurcation of cycles of well-defined frequency but are terminated by a homoclinic bifurcation lacking an oscillating time scale. These correspondences show that stimulus selectivity is determined by the type of bifurcations. By testing several neuron models, we also demonstrate that additional biological properties that do not modify the bifurcation structure play a minor role in stimulus encoding. Moreover, we show that burst-length variability (and thereby, the capacity to transmit information) depends on a trade-off between the variance of the external signal driving the cell and the strength of the slow internal currents modulating bursts. 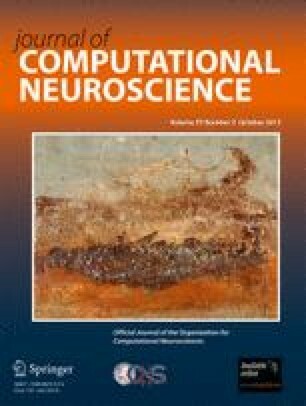 Thus, our work explicitly links the computational properties of bursting neurons to the mathematical properties of the underlying dynamical systems. This work was supported by the Consejo Nacional de Investigaciones Científicas y Técnicas, Comisíon Nacional de Energía Atómica, Agencia Nacional de Promoción Científica y Tecnológica y Universidad Nacional de Cuyo of Argentina (IS,GM), the Royal Society (IS, DHE, MAM) and BBSRC (DHE) from the UK, and the German Federal Ministry of Education (01GQ0901,01GQ1001A) and DFG (SFB 618) (SS).